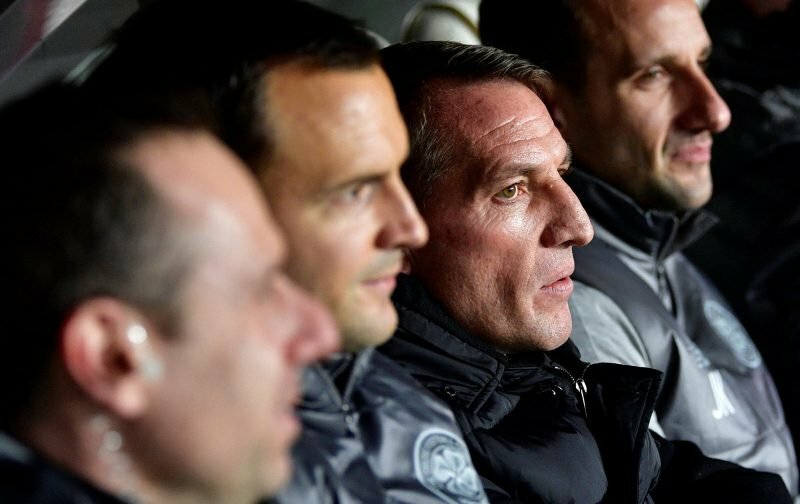 Brendan Rodgers has finally hit out at the brutality that he watches his side suffer from on a weekly basis. Celtic have the longest injury list in the SPFL with a team of XI regularly missing as opponents take out their man knowing that there is only an outside chance of a yellow card from the match officials. At St Johnstone on Sunday Ryan Christie and Odsonne Edouard were wiped out in the same incident, against Hibs on Wednesday Craig Thomson reluctantly booked Darnell Johnson with the SFA stepping in to upgrade the assault on Emilio Izaguirre to a red card. Johnson completed the match while Izaguirre was stretchered off. Rodgers has barely said a word of complaint against referees during his two and a half years at Celtic but explained his position in the Daily Mail. Does player safety remain a concern? Yes,’ he added. ‘I said in my first year here that some of the sanctions here surprise me – it’s bitty. ‘I don’t tend to go after the referees in these situations. The poor guys refereeing the games are amateurs, with all due respect. ‘The spotlight is on them severely from a professional side. They are going to make mistakes and then the aftermath seems a bit complicated. That will continue. ‘We all love the aggression and the physicality of the competition. That’s great. ‘But if your game is going to improve, there always has to be a line. Too often, it’s lawless or whatever word you want to use. You don’t want to get to a stage where anything goes. Izaguirre is expected to miss tomorrow’s Scottish Cup tie with St Johnstone with Jonny Hayes taking his place.